Anyway, the other week, a big package arrived at the door. Much as I hoped for David Beckham with a box of chocolates, I didn’t get it. However, I did get a rather large supply of tortilla chips which made me almost as happy. 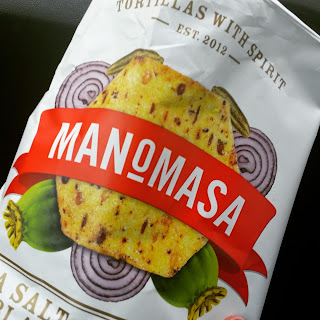 My new friends over at Manomasa got in touch on Instagram and invited me to review their “tortillas with spirit”. I jumped at the chance. I love a chip and dip and I wasn’t disappointed. These are not just tortillas. They are crunchy bites of deliciousness. Posh infact. You’ll find them at Waitrose, Fortnum and Mason, Ocado, Whole Foods, Booths and a heap of independent retailers across the UK. They come in many flavours. Notably, the flavours are subtle, as they are designed for dipping. There’s no overpowering bright orange cheese option in this range. Most exciting, they are different shapes. You get long ones, round ones, triangle ones, oval ones and wait for it… HEXAGONS. Who knew a hexagon tortilla chip existed? With every intention of keeping them for a full range of chip and dips, I had a look through my delivery. Five minutes later I was scoffing the manchego and green olive in my kitchen. They were just as delicious on their own, as they would have been with a dip. Next up, the chipotle and lime disappeared. They had a delicious smoky flavour, complimented by the zingy lime and again, were great for snacking. The tomatillo salsa ones finally made it to a dip. No not salsa… red pepper houmous. It was an amazing combo. I paired it with chicken breast and lettuce. The tortillas gave a bit of crunch to an otherwise boring salad lunch! Overall, we loved the tortillas. The share sized bags were great – we took one on a picnic up to Aviemore and another to a barbeque at a friends house. Both were scoffed! Off on a picnic with Manomasa! A huge thanks to Manomasa for sending the samples, it’s a thumbs up from me! Oh and I almost forgot to mention, they are gluten free too! 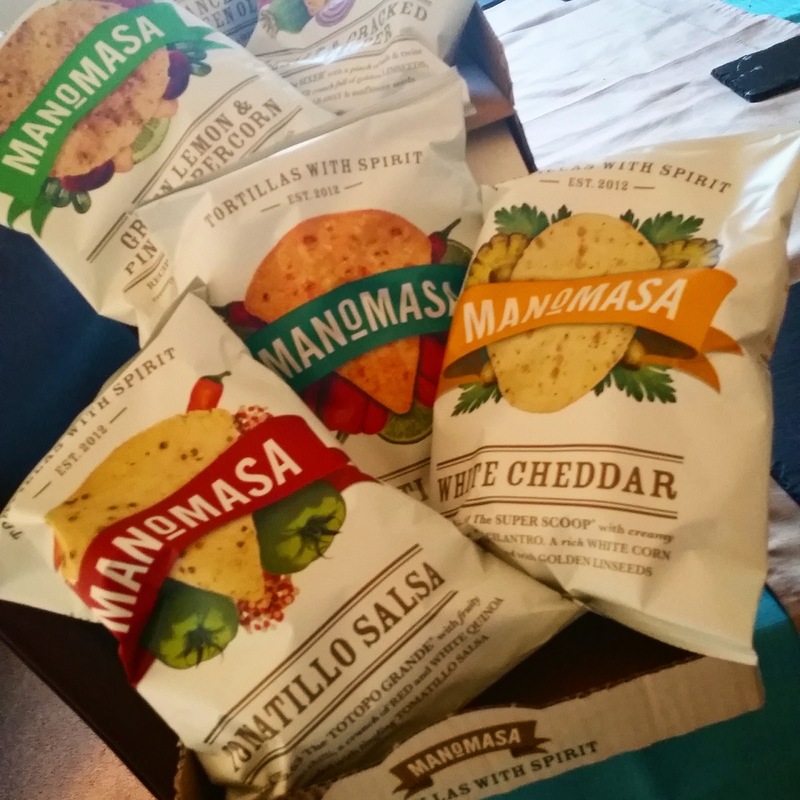 Follow Manomasa on Facebook, Twitter and Instagram. 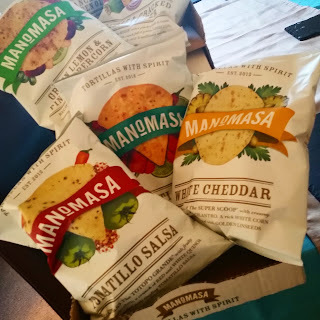 Disclaimer: Manomasa sent me free samples to review. Any opinions expressed are my own.